While I was writing the book, I found that I wished to tell more than one book could contain. 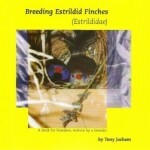 That’s why I first published the book Breeding Estrildid Finches (in Dutch), with information about keeping and raising Estrildids. 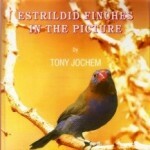 It’s successor was the book Estrildid Finches in the Picture providing photographs and information about his finches, an identification guide, with all available information about the species and their subspecies, habitat, way of life, nutricion, et cetera. Both books are also available on a secure DVD-R. In addition, a 45-minute video about my birdhouse and the birds I have raised is available on DVD. You can find more information about these publications at the specific pages. Are the books to expensive for you? Ask them for your birdsday or Christmas present. 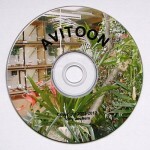 If you buy both the books Breeding Estrildid Finches and Estrildid Finches in the Picture together, you will get the DVD “AVITOON” ad 22,- euro for free.